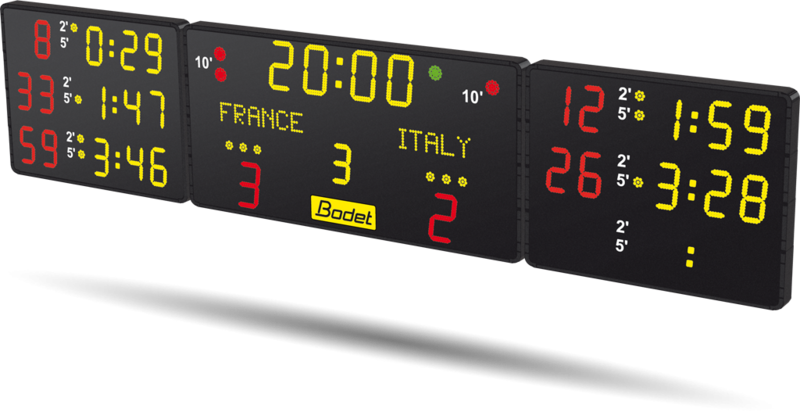 The BTX6425 Alpha HK scoreboard is ideally suited to ice hockey and features the dynamic display of team names. It enables the display of up to 3 penalty countdowns with the player number. 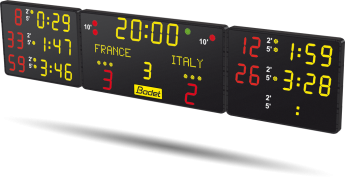 This ice hockey scoreboard is ideal for ice skating rinks hosting national and international competitions.